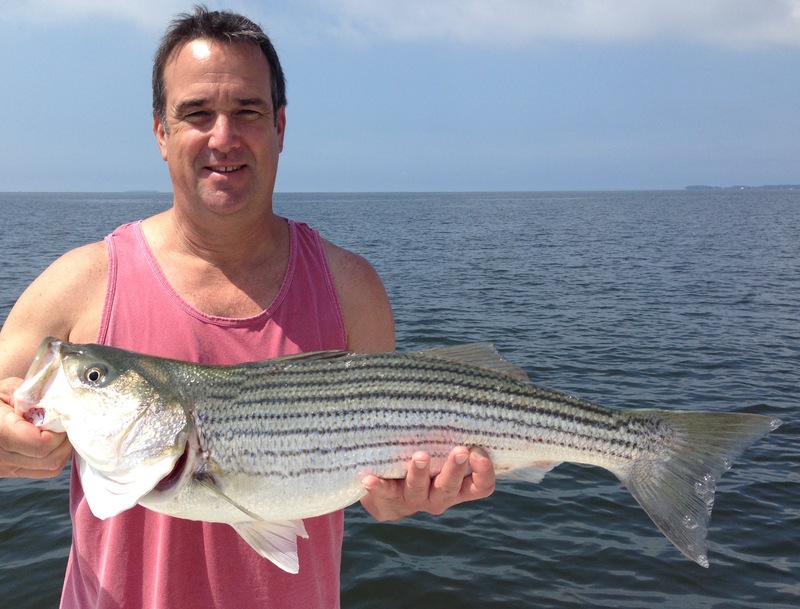 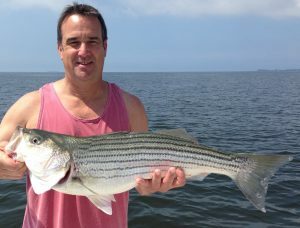 Striper fishing has been spectacular this week. Striped bass up to 36 inches have been taking flies like crazy. 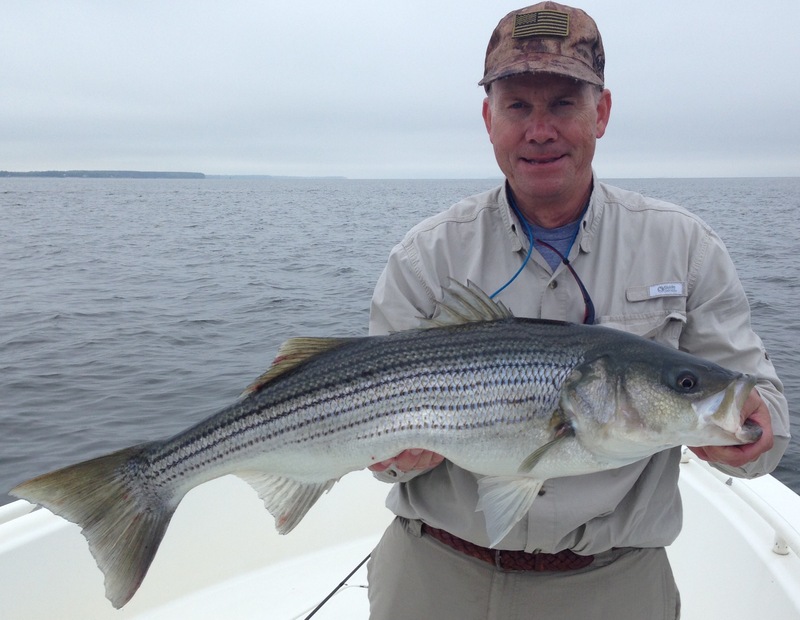 Half and halfs on sinking lines have been best. 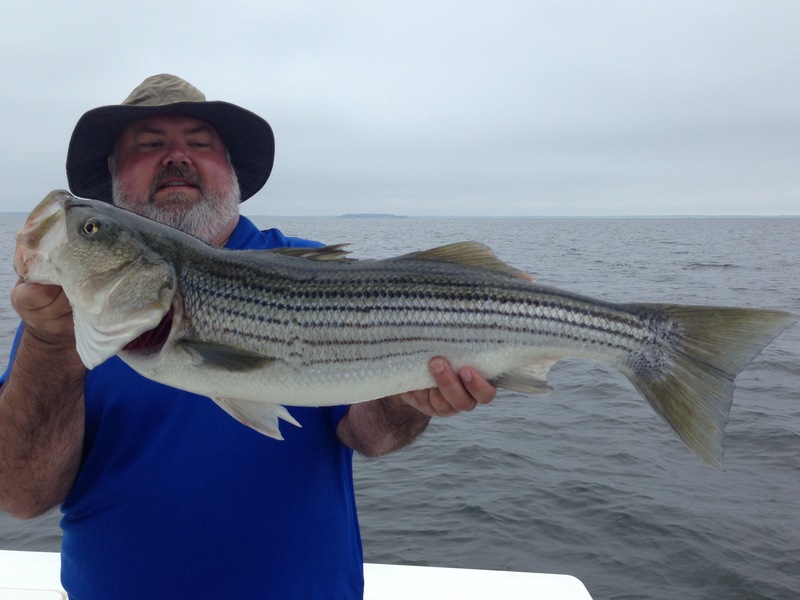 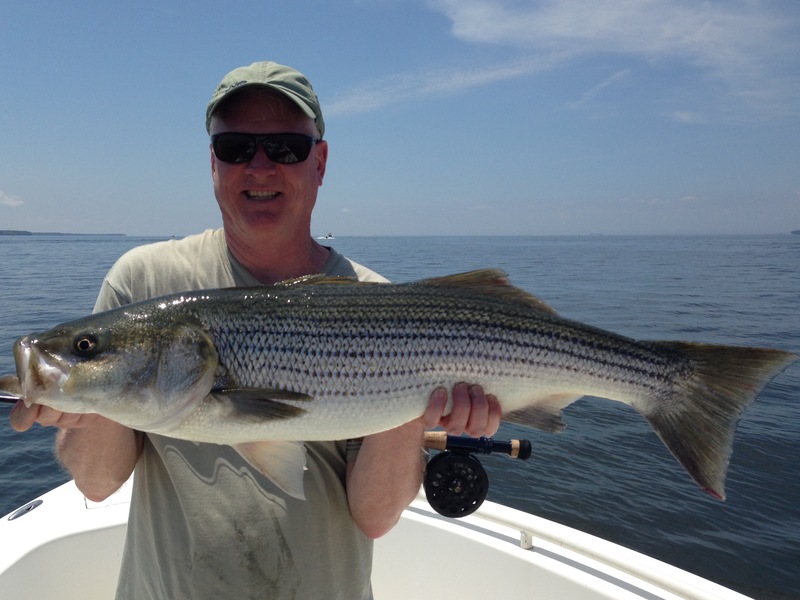 Once in a while the rockfish have busted menhaden on the surface. Jigging with soft plastics has also worked well.